Canvas Press was formed almost ten years ago in round Rock, Texas. This team of highly skilled artists and photographers understand how important it is to show your work in the best light possible. 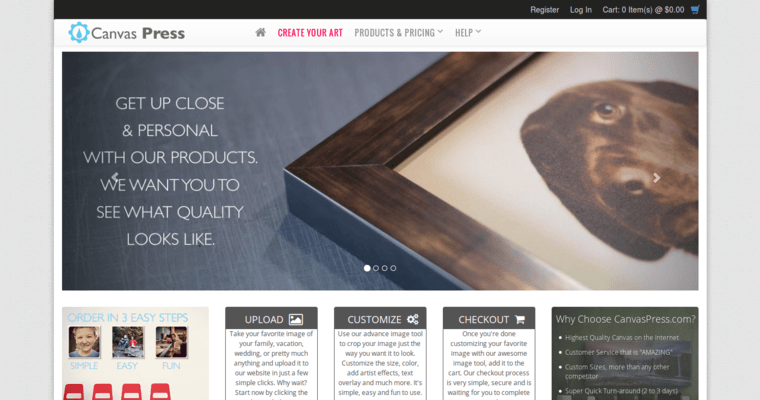 This is why they have dedicated themselves to providing the highest quality canvas prints and photo products available. No matter if you are new to photography or have been snapping shots for year, your best moments deserve to be given the best treatment possible. The values that have made Canvas Press the go-to company for many individuals and businesses are great customer service, quality craftsmanship and American pride. 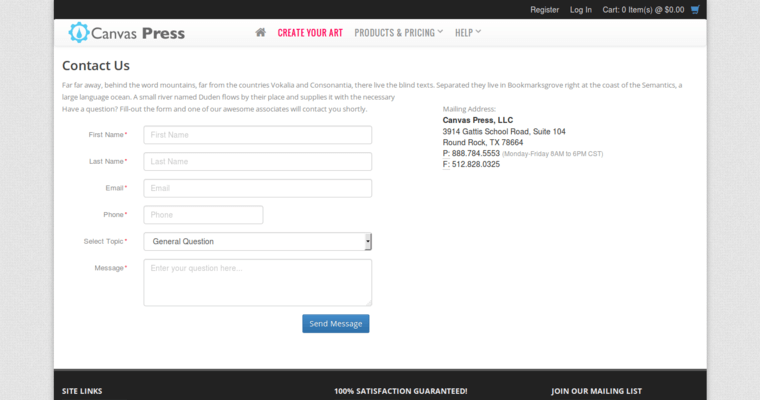 Unlike some other companies, Canvas Press does not outsource any of their work. All products and prints are created right at the Texas facility and sourced from materials from the USA. They are so sure that you will love their work, they offer a money-back guaranty.